Created by Prudence Callabrese who initially trained at the Farsight Institute with Courtney Brown. Prudence quit the public remote viewing field in 2003. 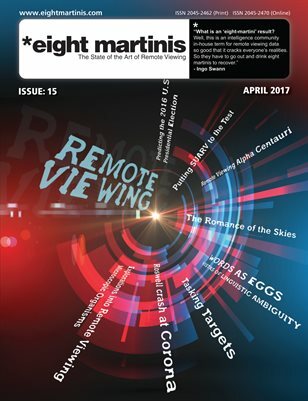 This si a great resource for those who find the military speak and formal nature of CRV (controlled Remote Viewing) too stiff. Created by Prudence Callabrese, This method/instruction manual is called Aurora Bomb: Street RV and was released in 2002. This is a modern, fun and less ‘stuffy’ approach to a remote viewing methodology than the original source method from the U.S. Military.